When I was fourteen I watched my mother do the bravest thing I’ve ever seen a woman do: She shut the door on domestic violence and became a homeless, single mother of seven children (ages fifteen to one). She chose freedom over familiarity and healing over false hope. She has never looked back. It was a journey that started in the middle of the night when she got me out of bed and told me to quickly wake and dress my younger siblings because dad would be home soon. It was a journey that started with flight, that led to house after house. We got used to living out of bug-out bags and, due to an unfair eviction notice, we had to say goodbye to our childhood home. For the past eight years, my mom has been on a path of heartache, healing, and hope as she has daily been broken against the rocks of unjust circumstances and an overwhelming burden of motherhood. Quite frankly, I think my mom would have said the same thing nine years ago. How could she, a homeschool mom with no income, ever strike out on her own? Where would we live? What would we eat? But here’s the thing about feisty women filled with faith and a protective love for their children—you can’t hold them down. I have never seen anyone walk in faith, prostrated in prayer, the way my mom did when she left my dad; when she asked God if she should put us in school and get a job, He told her to finish what she had been called to (homeschooling all of us) and trust in Him to provide. I’ll never forget, December 2, 2010, we moved into our new house. Water damage had caused the ceiling to collapse in what would become our schoolroom. It didn’t have any heat. We hung up thick blankets to block off the rooms that were too cold to live in. We ran space heaters in the kitchen and wore lots of layers to bed. We scrubbed the weird, caked dirt out of the cabinets and laid down shelf paper. We scoured every inch of the house and began tackling our mountain of boxes to unpack as we found our new normal. It’s hard to describe the chronic danger we felt before we left: It was a constant pit in our stomachs and an ache behind our eyes that had been there our whole lives. But suddenly, in our own little grubby house of dreams, it was gone. There was no more, “Dad’s drunk, lay low.” No more hiding. No more running. No more fear. But without the weight of fear holding us together, we were finally free to fall apart. 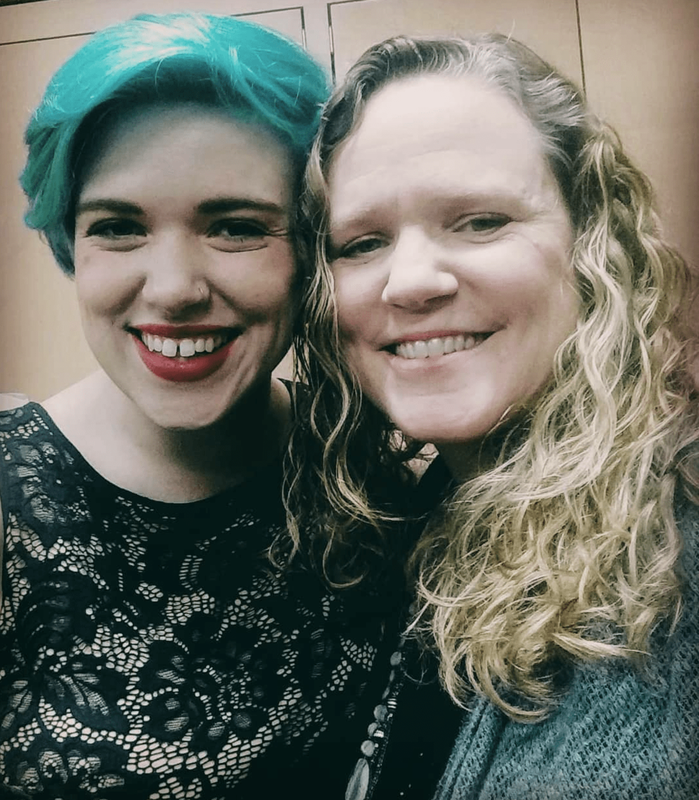 My older sister’s body shut down and she became chronically ill from the years of internalized stress and the unrealistic burdens she had been bearing on her small shoulders. I unraveled mentally. The younger kids started lashing out because they didn’t know how to express their feelings of upheaval. It was chaos. My mom, still single, still without a job, still learning how to take on the mantle of two parents instead of just one, was left to pick up the pieces of the aftermath. We did lots of reading aloud around the fireplace and we started doing extracurriculars. We joined a church. We slowly knit ourselves deeply into a community as my mom worked double-time to help us find healing. She had grace for our grades when school was the last thing we could manage emotionally or physically. I had to do summer school for all of high school and redo material until I mastered it (I took algebra I three times before I could pass it with an A), but I graduated on time and in good standing, despite missing the 9th grade. Above all, my mom always instilled us a passionate love for God and a love for learning, knowing that the rest would fall into place. Last year my older sister graduated as senior of the year with a 4.0 from nursing school. This year I graduate with a B.A. in history as outstanding senior with a full ride to grad school in the fall. My younger brother is excelling as a college freshman, and my siblings still at home are thriving. In the end, our story is one of triumph and my siblings and I can shoot for the stars because our mother broke herself down to build a foundation for us to stand on. Originally written for Mothering Beyond Expectations by Sierra Patterson. Used with permission.